The TestostaTones are a sharp suited, collective group specialising in classic vintage Doo-Wop who deliver fun and energetic but always professional performances, delivered with harmony and style. Their consummate and innovative approach and original style has brought them to the attention of many big name corporate clients, including BBC Radio 2 who invited them to make a live appearance for an exclusive 30 minute appearance where they spoke and sang about the Doo-Wop genre on the Jeremy Vine show. The T-Tones can arrange any song for any event or theme; special requests, first dances, jingles, stings and ice-breakers for experiential marketing, corporate events and trade shows and music/song composition for marketing campaigns and projects. Available for weddings, corporate events, functions and special occasions. The group can also provide music concepts, jingles, stings and appearances for TV, Radio and online marketing campaigns, trade shows, EXPO and projects as well as music composition and bespoke song arrangements. 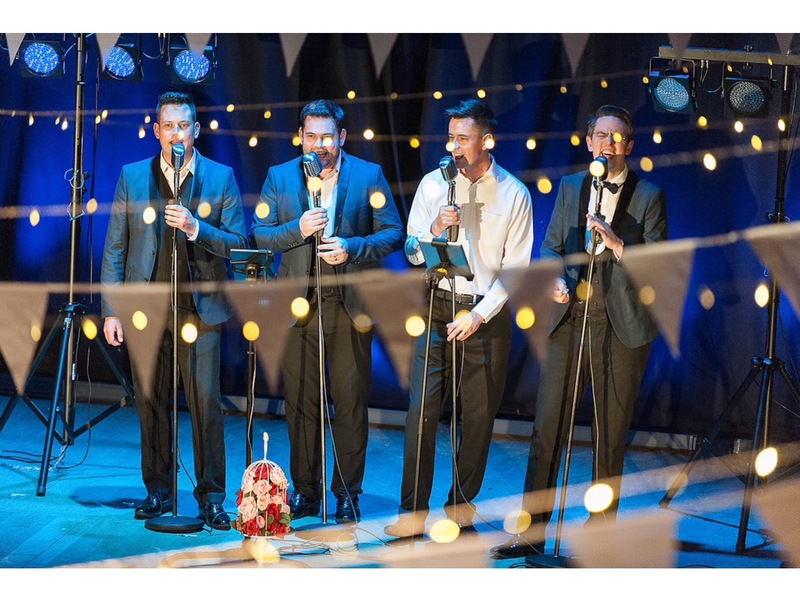 They will travel “absolutely anywhere” and have performed in every single county, most cities and all corners of the UK at over 500 weddings and 1,000 corporate events.